This course is for women who are ready to step into a new paradigm of leadership that supports the well-being of all. FOR CENTURIES LEADERSHIP HAS BEEN ROOTED IN SEPARATION AND HIERARCHY. THE FEMININE PARADIGM OF LEADERSHIP IS RELATIONAL, INCLUSIVE AND SUSTAINABLE AND IS NEEDED IN OUR WORLD MORE THAN EVER BEFORE. As women we are required to play more roles than we have ever been required to in our collective history, ones we know well and ones we have no role models for but are being called to step into and embody. We long to be successful, to have deeply fulfiling relationships, to be the best parents we can be and leave our mark on the world. But the truth is, we don’t always know how to manifest our intentions and hearts desires. We may feel overwhelmed by the road we are called to take and uncertain about the steps we need to take to realise our full potential. Historically, leadership models have required women to leave parts of themselves behind in order to step into the arena and call themselves a leader. That models is no longer sustainable. The world needs our full presence to solve the larger collective challenges we are facing. Like we can’t ask for help and have to do everything ourselves despite wanting to support and be supported by a community of like minded women. If you’re having any of these experiences or longings, the good news is that you’re not alone. Most of the women I work with feel this way. These feelings and longings are an invitation to find a new way and create a model of leadership that turns your longing for more into a life that reflects the full flourishing of your gifts, talents and desires. You might be wondering why depsite having developed valuable skills and years of hard work you have not been able to manifest your deeper desires. The truth is that all the education, knowledge, money, planning and action taking in the world cannot make up for a lack of self- trust and trust in the path life is calling us to. We have not been taught how to be in right relationship with ourselves and access the power we need to create the things we most deeply long for. But all that is changing, we are ready to evolve our relationship to leadership and ourselves, to stand in our authentic feminine power and align ourselves with the highest possibilities for our lives. With over three decades of coaching experince, I have seen that when women cultivate a healthy relationship with themselves and understand the inner patterns of their psyche (Archetypes) they not only thrive but are able to support others to do the same. The masculine paradigm of leadership that has brought us to this time in our collective history is not the same paradigm of leadership that we need to heal our world and flourish in life. When leadership is informed by hierarchy, separation, status, perfection and priviledge we have not choice but to exclude and reject parts of ourselves and others to succeed. The things we are most longing for such as intimacy, love, connection, purpose, freedom, creative self-expression, authentic power and contribution cannot be created by pushing, forcing, thinking, strategising, planning or working hard for. These are the missing pieces of our selves and our lives that need to be recovered and re-birthed through a new feminine paradigm of leadership. Feminine Way Leadership is an orientation to life and leadership that ends the patterns of self-sacrifice, self-sabotage and self-abandonment that leaves women disconnected from the rich possibilities of their lives and the power to manifest their deepest desires. 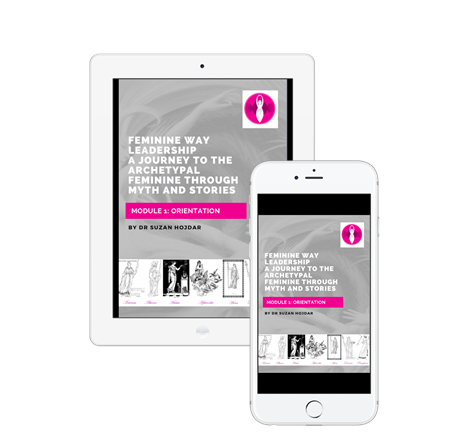 How do we learn Feminine Way Leadership? In my work with hundreds of women I have found that using Archetypes, mythology and stories to uncover and understand the unconsicous patterns of behaviour in one’s psyche is highly effective and transformative. I use Goddess Archetypes as well as a number of unique practices and tools to awaken authentic feminine power. The Gooddess Archetypes not only reveal the instincts and interests but the unconscious patterns and drivers that have been motivating our choices and affecting our ability to manifest our deeper desires. The source of your authentic power lies in your awareness of and ability to integrate the leadership quailities as well as the shadow qualities of each of the Goddess Archetypes. Join me for my 9-Week Feminine Way Leadership Course, a Journey to the Archetypal Feminine through Myth and Stories. The essential course for the awakened leader ready to make their mark on the world. I will guide you through the process of accessing your full, embodied authentic feminine power to change your life, live your purpose and make your highest contribution. This course will guide you in becoming your full, most alive, joyful and expressed self so that you can lead with love, wisdom, courage and depth in every area of your life. 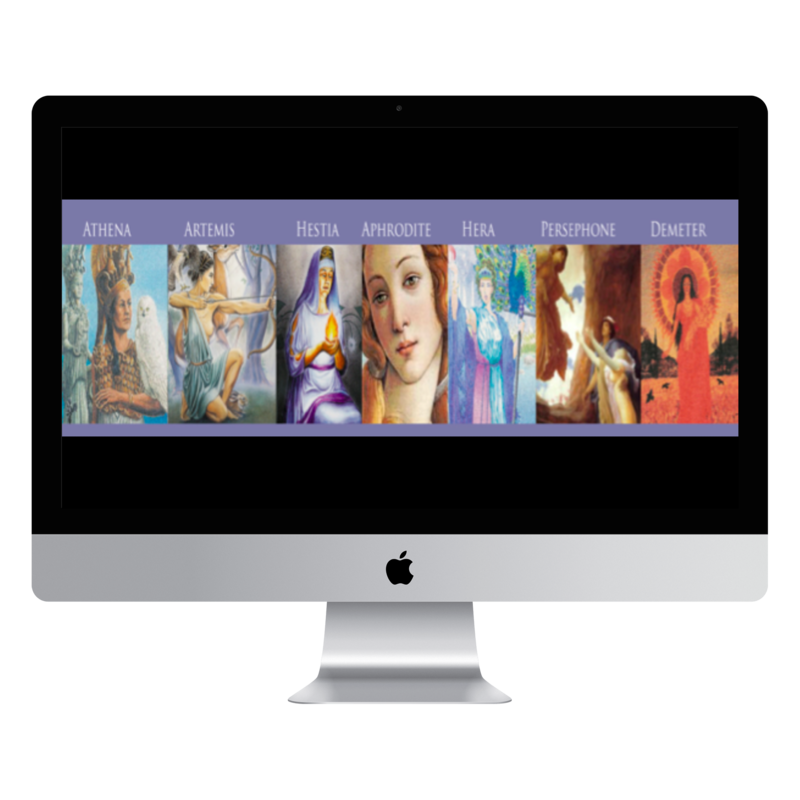 In this course we will embrace and embody seven Goddess Archetypes of leadership, through self-exploration, community and ritual. In the Feminine Way Leadership Course, we explore the leadership and shadow qualities of each of these Archetypes as they apply in modern context. We look deeply at what’s kept us from fully embracing each Archetype… the personal, familial and cultural wounds that have us playing small and keep us stuck in overwhelm, confusion, doubt and fear. The journey is enlightening, supportive, and transformative. Free yourself from the patterns of the past, heal old wounds and finally be able to see yourself as the source of your own experience. Discover how it feels to source authentic confidence and to walk through the world radiating your value and worth. Evolve the unconscious patterns that have been keeping you stuck in a cycle of confusion, overwhelm, fear and inaction. Understand the myths and stories about yourself that are not true or accurate so that you can identify how you hav been generating your experience and create a new more fulfilling future for yourself. Learn a new way of responding to your feelings and emotions so that they do not derail you from your path when challenges arise. For 7 of the 9 weeks we will be exploring one of the Goddess Archetypes. The first week is an orientation week and will set the stage for us to dive deeply into each of the 7 Archetypes. The last week is an integration week where you will have the opportunity to review everything you have learnt in the course and embody some of the key teachings. All of your course material can be found in the membership portal you will be given access to when you sign up. In addition to downloadable content, you’ll get plenty of live support from Suzan. During each of the 9 weeks, we’ll meet up as a group online so you can join from anywhere in the world and receive personal coaching from Suzan. These calls will help you clarify anything that you need specifically, in order to integrate the course teachings more deeply into your life. All coaching sessions will be recorded and recordings will be provided to participants who are unable to attend. The Feminie Way Leadership private Facebook group is a safe space created for all participants to ask questions, support one another, nurture friendhsips and share thoughts, ideas and observations with each other. 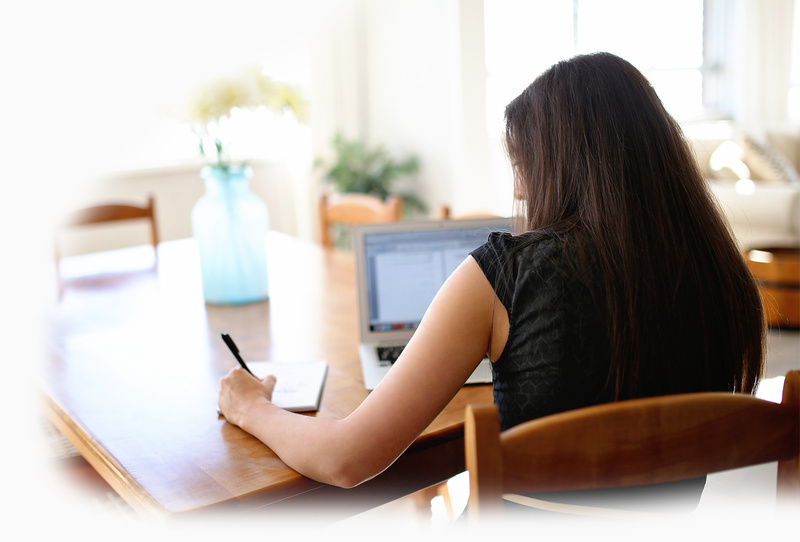 You’ll receive access to this program and the community for the lifetime of the course. Feminine Way Leadership is currently closed for enrolment, however you can click the Enroll button to send us your details and we will let you know when the next course will begin.